The all-day event started early, with opening remarks from Vice Chancellor Jeffrey Lehman. 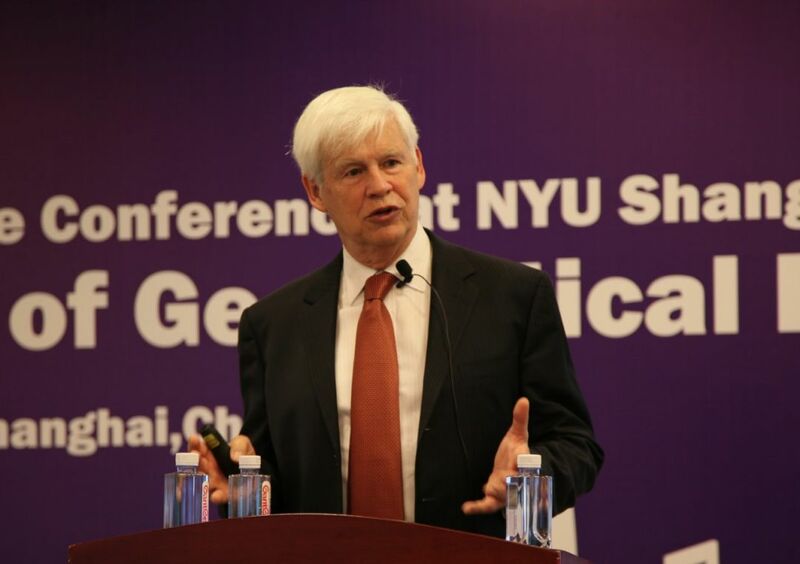 One of the two keynote speakers, Robert Engle, 2003 Nobel Laureate in Economics, director of the Volatility Institute at NYU and VINS advisory board member, proposed a three-step action plan that could help the Chinese market mitigate the geopolitical stress that it is currently suffering from. “Reduce debt,” “reassure investors,” and “reopen trade negotiations” were the three strategies Engle suggested. 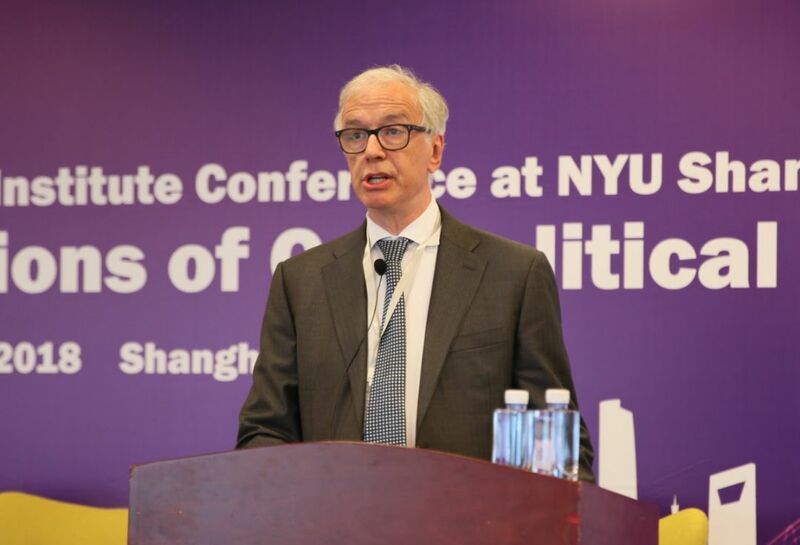 Keynote speaker Eric Ghysels, Edward Bernstein Distinguished Professor of Economics at UNC Kenan-Flagler Business School, shared his study on artificial intelligence as investment advisors and its potential for the future. During the afternoon panel session, Professor Xin Zhou, Executive Director of the Volatility Institute at NYU Shanghai, moderated a panel discussion on the Trade War and Financial Market,with four finance practitioners: Jianye Wang, Director of Volatility Institute and Professor and Dean, Guangzhou Institute of International Finance; Yu Shao, Chief Economist, Assistant of President of Orient Securities Company Limited; Xiaogang Zhang, Executive Vice President of China Financial Futures Exchange; Hua He, Practice professor of Cheung Kong Graduate School of Business of Finance, Founder and CEO of Nine Martingale Investment Management Partnership of Shanghai.